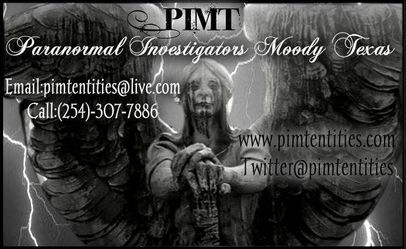 P.I.M.T aka Paranormal Investigators Moody Texas is a ghost hunting or truth seeking group in Central Texas. We utilize all tools available to our trait, from the scientific to older methods and combine them to make the most well rounded investigations possible. We also try to use third party information that can shed light on history, lore and anything that may apply. In today’s world we have come very far in understanding that science faith and belief are now forever intertwined. No matter your path, we all seek the same thing, facts and the truth. We are all children of the same universe! Paranormal is a general term that designates experiences that lie outside "the range of normal experience or scientific explanation" or that indicates phenomena understood to be outside of science's current ability to explain or measure. Paranormal phenomena are distinctly marked as certain hypothetical entities, such as spirit matter, energy, ghost, events etc. only in so far as paranormal phenomena are inconsistent with the world as already understood through empirical observation coupled with scientific methodology and our current technology to prove such. We are a family run organization, for nonprofit, and do not charge for our services. We do accept donations. They are greatly appreciated and go a long way in offsetting expenses. They also help in providing for GAS, EQUIPMENT UP KEEP, FOOD, LODGING and other expenses that associated with providing this free service. We respect our clients’ beliefs and their privacy. 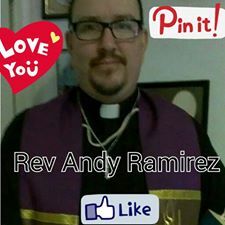 While we all may have our own spiritual, professional and personal beliefs, it is our philosophy to use a healthy dose of skepticism, science and common sense to explain what may or may not be considered “paranormal experiences”. Our goal is to simply seek out the truth, without bias. We will do our best to follow the path of evidence and present it in a manner that invites you to use your senses and make a determination for yourself. We will not use programs that alter the evidence in a manner designed to deceive or mislead you, we will use full disclosure and bring you on our journey of fact finding with us. We seek to find and solve the mysteries of what we may consider to be “paranormal” and solve that which is solvable. Thank you for joining us.